From a philosophical standpoint, the main difference between GTB DLP and the others is policy making. Good Data Protection / DLP Policy making has many ingredients. First, is the classification of data. Then, the ability to detect that data followed by policy making. Finally, enforcement of those policies. 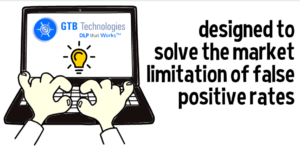 The problem for most DLP solutions has to do with the implementation of the DLP methodology or what we call "DLP Vision". Detection: Other "leading " DLP vendors focus on detection of content using imprecise detection methods. Imprecise detection (regular expressions, keyword matching, tagging, Machine Learning, etc) are a major cause for DLP failures. These detection techniques cause an unmanageable amount of false positives, thus require "tuning", the achilles heel for DLP solutions. Only precise detection (content registration or fingerprinting) will yield virtually zero false positive rates. Other DLP solutions can't perform fingerprinting without "choking". Policy: Other solutions also focus on policy making for what’s allowed, what’s not allowed, what are the sources and variables of data, etc. There are just so many policy options and inputs these DLP systems with the described vision can handle, especially with large organizations encompassing thousands of end users. To visualize this, take the following example, most DLP solutions will need to develop a policy for EACH specific user, in order to send certain amounts or types of data to a specific destination. Enforcement: This requires thousands of polices! One can get lost within the jungle of polices. Because this approach requires customers to create polices for EACH user, there are repercussions for a large enterprise such as false-positives, expensive "tuning", and network degradation. All are costly and unproductive creating more problems than solving. GTB Technologies DLP that WorksTM platform is geared to revolutionize this poor vision for the DLP space. The Data Loss Prevention vision of GTB is focused on deploying policies, utilizing precise detection methods, with our patented, proprietary content-aware-reverse-firewall with AccuMatch technology. Just like a firewall, GTB policy making is focused on the exceptions to the rules rather than what is allowed or disallowed for each specific user. GTB created this technology along with its detection engines to insure that each DLP event is a valid and noteworthy event for efficient workflow. 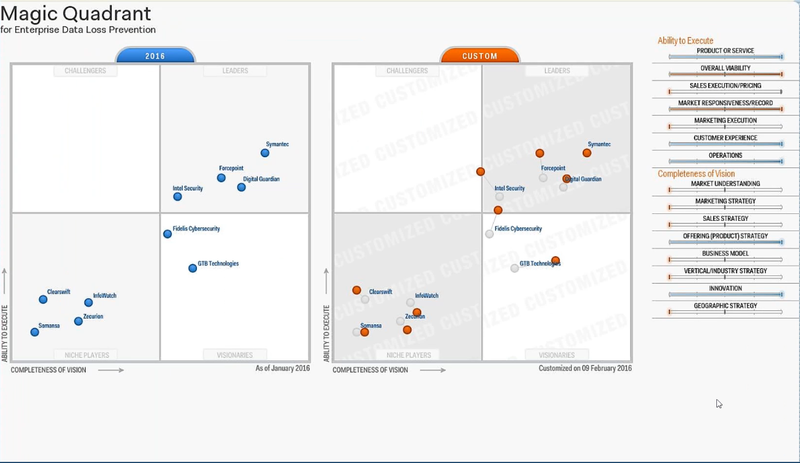 GTB customers do not need to insert thousand of policies, for a specific user or user groups. Instead, they can gain network visibility throughout their entire environment via a firewall process creating objects and administering rules on the objects. This deductive methodology allows for simple policy making and enforcement all in a firewall format. 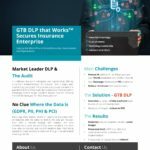 Furthermore adding to its' data extrusion protection methods, GTB DLP offers organizations the ability to place policies on specific files and / or data that are outside their environment. The above capabilities are some of the many reasons why GTB prides itself in providing true data protection to its' customers, a data protection solution that works. Can you meet all those compliance & regulatory requirements? Do understand your HIPAA Risk? GTB Data Protection solutions & services will help your organization comply with the many HIPAA, HITECH, State & Federal Regulations including the policies and procedures to address privacy rule controls, security rule controls and breach notification rule controls. *Medical codes such as CD-9, NDC, SNOMED CT, HCPCS are covered. Risk Analysis is the first step in an organization's Security Rule compliance effort. Risk Management is a requirement. GTB's Healthcare Data Risk Assessment allows an organization to conduct an accurate and thorough risk analysis of the potential risks and vulnerabilities of a covered entity's ePHI. Utilizing the GTB Data Protection that Works platform, organization's will be able to start the required security risk analysis and audit preparedness as mandated by the HIPAA Security Rules and the HIPAA Privacy and Breach Notification Rules ... at a substantial savings!